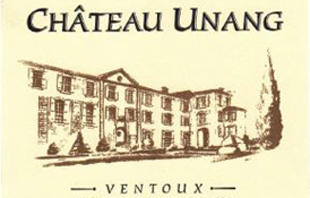 Chateau Unang is located just outside the pretty village of Malemort du Comtat. When James and Joanna King bought Unang in 2001, there were twenty hectares of vines in various parcels up and down the hillside, and in varying degrees of health. Six hectares of poorly sited and/or diseased vines were torn out, and a new cellar was put in. In 2003, James slowly began to replant, and he plans to grow to eighteen hectares of vines, or a little more than forty-four acres. The white varieties grow farthest down the hillside in the coolest zone, while the reds occupy the mid and upper slopes. What James likes in wine is elegance and depth, and his site enables him to make such wines par excellence. These are high-altitude wines of freshness, vigor and minerality. All grapes are hand-harvested at Unang, and James is working toward organic viticulture.